Ning Yu (@ostrich007) discusses intersection of suicide prevention and “big data” science at 10/27 #SPSM chat. Increasingly, the social sciences are being transformed by data science. Wanna understand this trend better? Read here. Wanna see a sample of this kind of research? Check it out here. This is already being used to research and understand suicide. Read more about *that* here. And here. And here. Join #SPSM this Sunday at 9pm for a chance to chat with one of these researchers. Standing at this intersection of data science and social science is Dr. Ning Yu, a researcher in this emerging field of #SPSM, with a focus on big data and data science. 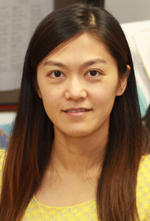 Dr. Yu received her PhD in Information Science and Ph.D. minor in Cognitive Science with an emphasis on Computational Linguistics at Indiana University. She is interested in investigating the feasibility and efficiency of computational approaches, machine learning and NLP included, in understanding big data in the real world: from retrieving opinions in blog posts, to predicting ratings for online recipes, to understanding public attitudes towards suicide. She is also interested in network analysis and information visualization, which goes hand-in-hand in generating big pictures for social data. Dr. Yu will be taking our questions, but she also has questions for our community, to better inform her own research contributions to suicide prevention. Please join us to grow expertise in this area of suicide prevention!